This 2-piece outfit consists of a denim shirt with gorgeous decorative pearl buttons and a pink denim-look skirt. The shirt fastens by velcro a the front and the skirt has an elasticated waist and pulls up. 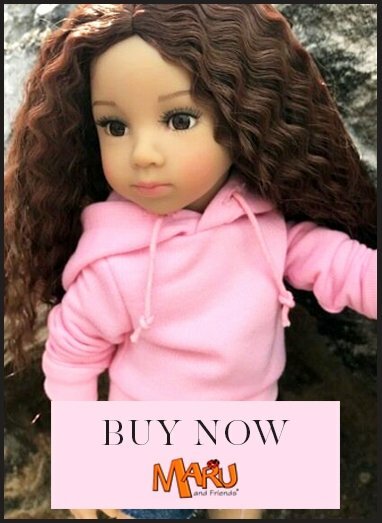 Boots and doll are both sold separately.